Did you have a happy Equinox? It’s an utterly beautiful day here today. I really want to be outside right now, but I’m at work. Strangely, my boss doesn’t like it when I try to work the register from a lounge chair in the parking lot. The fall equinox has come and gone. The days are getting ever shorter. There is just the slightest bite in the air in the early mornings and late evenings. Pumpkins are out and about. Granted, I live in Alabama. So it can still get into the high 80’s and even 90’s during the middle of the day. I took my dog to the park Friday night. It’s finally cool enough that she can go for an hour or more. She seems to feel the humidity more than the heat. I took my most recent audiobook (The Cat Who Played Post Office by Lillian Jackson Braun) outside earlier in the day and enjoyed the sunshine and the pleasant temperatures. So, take a book outside this week if it’s nice where you are! It is totally worth it. 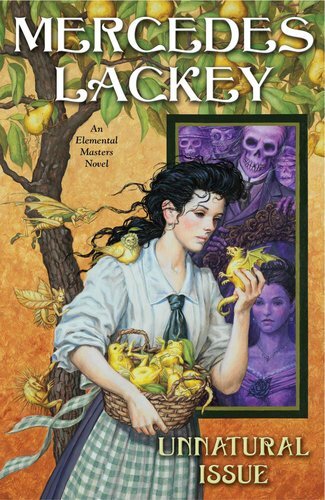 This is another entry in Lackey’s Elemental Masters series. I talked about it a little bit when I did the review of Home From the Sea. I liked this book much more than that one. Unnatural Issue was much more in the vein of the other books in the series. The threat was very real and very present. Our heroine was in grave danger and the villain was truly evil. Home From the Sea is the most recent addition to the series, so it will be interesting to see if it represents a directional change or simply a one-off. Unnatural Issue opens with an Earth master named Richard Whitestone returning home after battling a dark master. Upon his arrival he learns that his beloved wife has delivered her baby, but died in childbed. Richard becomes unhinged and refuses to see the child. He orders her killed or abandoned, anything so long as he never lays eyes on her. We then skip ahead twenty years. Suzanne has been raised by servants. Her father has almost forgotten about her. He stays shut up in his rooms. The estate is sinking into ruin. Suzanne herself is a budding Earth master. 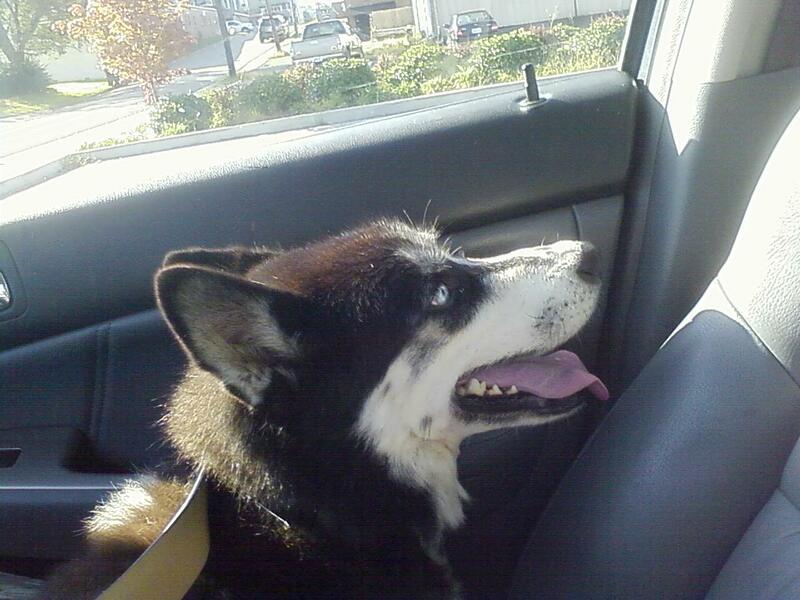 She has received all her training from Puck and other elemental spirits. In many ways she has an ideal life. She does not have the rich life that someone of her station is entitled to, but she is content. She has friends in the servants and the elementals. But trouble is brewing. In Europe World War I is beginning. And at home, Richard Whitestone has suddenly remembered that he has a daughter. The years have strengthened his power, but twisted his mind. He now deals with the darkest forces, and young Suzanne is just the thing he needs to bring his plans to fruition. At the same time, the London masters have felt vague hints of darkness from the countryside. With most of their efforts trained toward the war effort they cannot spare many people to look into the possible home-grown disaster. Lord Peter Almsley, a water master, is on leave from a rather brutal tour in France. He is dispatched to the countryside to convalesce and investigate the hints of tainted Earth magic. Soon his path crosses with Suzanne’s and that of her insane father. He quickly learns that France is not the only place where horrors can occur. This book has most of what I love about the series as a whole and it’s in a setting I adore. I love the WWI era and Suzanne’s flight from her father actually takes her into the ranks of nurses at the front. I was also pleased to see Lord Peter (no relation to Lord Peter Whimsey) return to the series. I found him a delightful character in Serpent’s Shadow, the first book in the series. This book, more so than the others in the series, does not have a clear fairytale attached to it. There are certainly elements of The Secret Garden, but the parallels are not nearly as clear as they have been in other books. However, I did not find that it detracted from the book in anyway. I listened to this one on audio and found the narrator very pleasant. So, I recommend it if you’re looking for an audiobook. Also, since I listen to lots of book related podcasts these days I’ve got a URL where you can get a free audible.com trial. Go to audiblepodcast.com/sword. You can get a free audiobook with a month-long trial of audible. Sadly, this doesn’t work if you already have an audible account (like I do). Also, check out The Sword and Laser podcast. They’re an awesome sci-fi and fantasy podcast that I listen to. 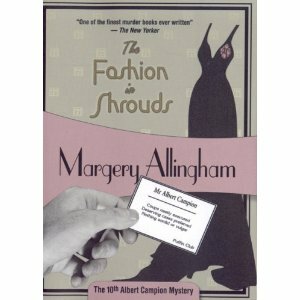 This is a story about Albert Campion, a very Peter Whimsy-ish sort of detective. Mr. Campion starred in 18 novels and around 20 short stories (according to the magical Wikipedia) He is from a very, very good family that disowned him and he occasionally seems to do things for Government personages. There is also a rather good tv series made out of the books that is occasionally available on Netflix. Georgia Wells is a very beautiful actress. Three years ago her fiance disappeared, somewhat conveniently for the starlet. Albert Campion has just found the body. The death is ruled as a suicide and Georgia, and her husband, can move on with their lives. The problem is that Georgia’s life is now intersecting that of Campion’s sister, Valentine. Specifically, Valentine is Georgia’s personal designer and best friend. However, Georgia is also terribly interested in Valentine’s young man, the airplane designer Alan Dell. Things quickly go awry. Important dress designs are leaked by a model. Georgia’s husband becomes increasingly jealous of her interest in Alan and takes up with the same model. Alan’s productivity suffers. Valentine wishes Georgia dead, but it is Georgia’s husband who gets poisoned. I really enjoy this series. It’s one I got into through the tv series actually. I was looking for more things like Dorothy Sayers. Campion is well off, has a former criminal for a butler, and not too much trauma in his past. He’s quite a lot of fun to spend an evening with. I wouldn’t necessarily recommend starting with this book. I’d probably start with Sweet Danger, in which Campion tracks down the long-lost heir to an Adriatic principality. I love this graphic novel so much! It is a sequel to Zita the Spacegirl, which came out last year from FirstSecond. 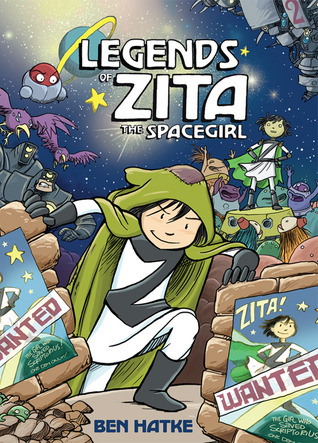 Zita is an ordinary Earth girl who ends up lost in space. Book one is her trying to sort out where she is and what to do about it. She builds a group of awesome friends, has adventures, and becomes a galactic hero. Legends of Zita the Spacegirl is a new story. For one thing, it doesn’t start off with Zita. It starts with a little robot. The robot has been thrown away. He doesn’t really have a purpose until he sees that Zita the Spacegirl will be visiting his planet on her tour. Suddenly, he has a purpose! He must become more like Zita the Spacegirl. Unfortunately, these robots have a flaw. Sometimes, rather than wanting to be more like someone, they want to become that person. Soon, the robot has taken Zita’s place aboard ship and Zita herself has been stranded. Hijinks ensue. The robot agrees to help a planet that is about to be wiped out. Zita becomes an intergalactic criminal and goes on the run with a very interesting lady captain who has history with one of Zita’s friends. This book is adorable, beautiful, and touching. It has amazing things to say about identity, bravery, and friendship. I recommend it to everyone. All of you! Go read it. No, really. Go read it! And read the first one too. It’s also amazing. How amazing is it you ask? It’s so amazing that I want to hug it. I made it the Book of the Week at Little Professor. I’ve tweeted about it, Facebooked about it. I’d do an interpretive dance if I thought it would help. Please, please, please go look at this book! To make me happy. And because it was my birthday last week. And… and…. 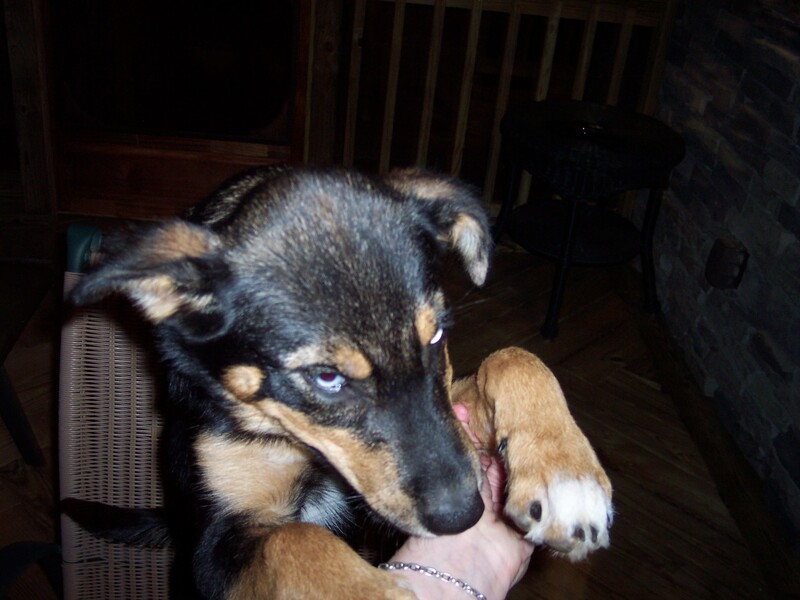 because the adorable puppy is begging you to!